I would much rather stick on my wellies and get wet and muddy outside than be stuck indoors with a TV. Thankfully the sun did make an appearance this bank holiday weekend so we headed out on the bikes for some fresh air and exercise without the need for waterproofs. Both of the Mini Mes learnt to ride quite a while ago now although Jamster is in desperate need of a new bike (that's on my endless 'to buy' list ready for the summer holidays). He will still happily use it though for now so we headed off to the fields with the poochie in tow too. We are lucky to be in such a rural town with a lot of fields. These are literally only a few minutes away and are great for dog walking, kite flying and other sports too. What did you get up to over the Jubilee bank holiday? 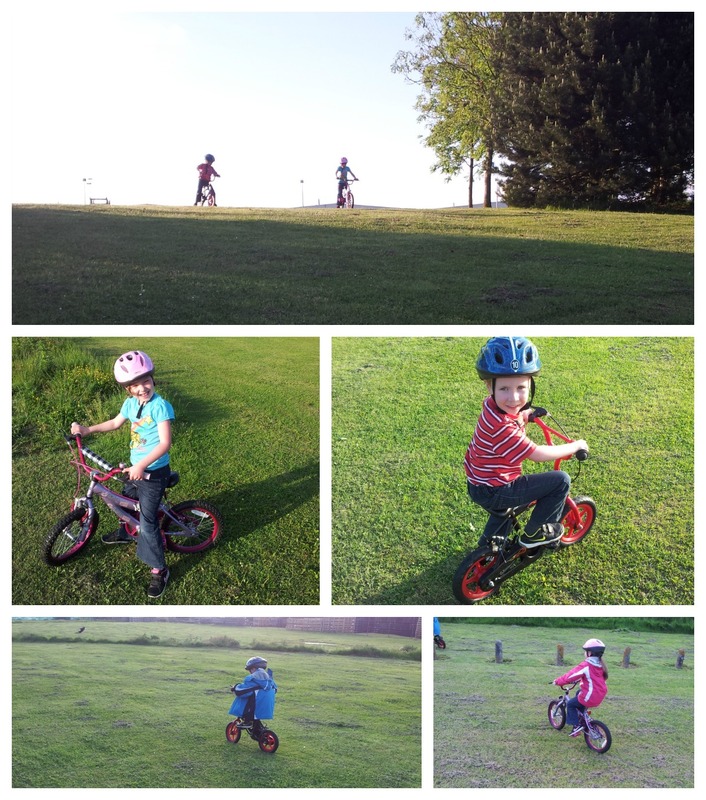 Can your children ride bikes and do they enjoy it too? They look like great off road experts! So good to get out, even when it is stealing an hour here and there between the showers. Looks like they are having a wonderful time, I notice the coats disappeared, were you left holding them all? thank you for sharing, what a treat to have access to those fields so close to home.